When discussing how technology will improve our lives in the future, people often point to smart cities as an example. Imagine a city where everything is connected, from your appliances to the street lights themselves, and automation is operating behind the scenes to ensure that things run smoothly. However, besides smart city initiatives and the odd model home configured with smart home devices, the concept of a smart city is often used as a buzzword to get consumers and businesses alike excited about the possibilities the future holds. At the recent Boomi World 2018 event, TechRadar Pro sat down with Dell Boomi CTO Michael Morton who told us how the town of Cary, North Carolina is using the company’s platform to bring its smart city initiative to life. Morton began by explaining how often many people get lost imagining what a smart city could be as opposed to putting their ideas into action. From the onset, Cary did things differently than most by starting small and thinking about the problems it could actually solve today. The town began by addressing the problem of road and traffic maintenance. The town knows that it will be unable to build enough new infrastructure to accommodate this influx of residents, so it began its smart city journey by figuring out how it could start to automate the process of repairing malfunctioning streetlights and damaged roads. “So town of Cary said how do we benefit the citizens by optimising flow control when there is a problem. Number one, they push to Waze so if people are using the app they can avoid the problem. Number two, they integrate the detection. They can detect a problem through an event and they actually use Boomi to listen for the event in their software infrastructure. They then open and initiate the whole sequence of customer relation management with Salesforce using Boomi. In addition to automating the process of sending technicians out to repair roads and traffic lights, Cary also took advantage of its connected water meters to warn its residents of potential leaks and water damage. “The town of Cary is also very progressive. All of the water meters are connected via Wi-Fi. A person doesn’t need to physically read the meter to see how many gallons you’ve consumed, it’s all electronic. The importance of this is that the city knows your average water consumption and can alert you if it goes way beyond your normal usage which indicates you have a leak. So they can use that data intelligently to detect water leaks. Their city is helping individuals avoid high water bills but at the same it is also protecting a precious resource.” Morton explained. While smart meters have been around since 2005, Cary had the insight to utilise their functionality alongside Boomi’s platform to use them in a way that benefits all of its residents as well as the city itself. 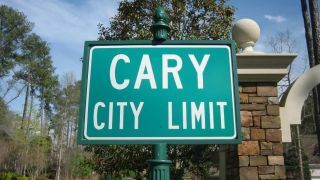 While discussing Cary’s decision to put its smart city initiatives into action, Morten revealed that the town initially did not intend to use Boomi’s software the way it did. Actually the town first became a customer of the company to help solve a business integration problem. However, once Cary’s IT department became more familiar with Boomi’s platform, they realised they could apply it to their smart city initiatives. Morton noted that this is often the case with the company’s customers once see what the platform is capable of. I asked Morton if he moved to Cary because of the fact that the town is a smart city to which he laughed and explained that he had actually lived there for quite some time.